Nina Dobrev should have quit while she was ahead. She and Ian Somerhalder had been dating for three years before he pulled the plug last spring — and it was a split that was the exact opposite of what Nina actually wanted. Fans of The Vampire Diaries star watched her lash out a bit on Twitter while licking her emotional wounds. 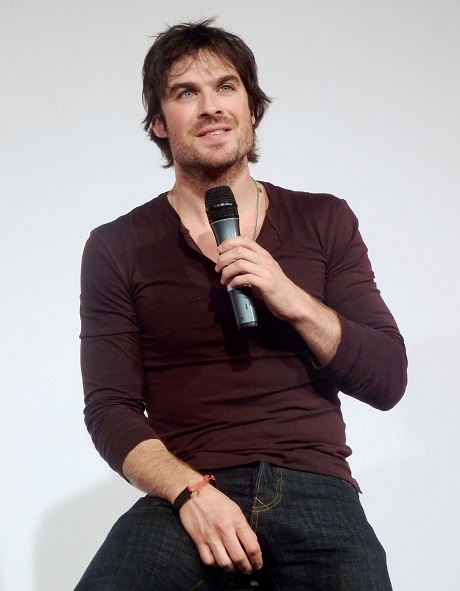 By the time Ian and Nina had to show up together for work events last summer there was definitely a chill in the air; however, eventually, they worked through their issues and became friends again. Rumors that they were hooking up again began late last fall and have followed them ever since. Ian likes to keep his personal life very private and it was pretty obvious that once the whole world knew that they were a couple that’s when things began to crack. It just reinforced the need for privacy in Ian’s mind and, in the months that have followed, he has kept his time with Nina pretty hush. She on the other hand seems to enjoy speculation and we have seen her linked to a string of flings in the press. Derek Hough, Dominic Howard, and now James Marsden are just a few of the men that Nina has publicly swapped spit with and it has been to get good old Ian’s attention. Girlfriend realized that her phone rings more often when other guys are circling, so she has used the media to help keep Ian on the hook. Sources say that ultimately Nina would love to fully reconcile with Ian but making him jealous seems to now be backfiring. Instead of being reminding of what he’s missing, Ian is starting to think that his ex is just whoring it up with any actor that pays attention to her and the plan that originally worked is now blowing up in Nina’s face! Do you think she will get smart and just put her cards on the table already? Do you think that Ian and Nina’s relationship is really finished or are they still resorting to games of the heart? What do you make of the Nina Dobrev/Ian Somerhalder relationship?